Did you know 70% of all changes attempted in organizations fail? This failure rate has been consistent for decades. How can you avoid being part of this dreadful statistic? This article identifies four major areas you can focus on. Are you getting the results you need from the changes you lead? This really is the key question: Are you getting the results you need from the changes you lead? If the answer is “No” you’re not alone. In fact, according to research by McKinsey & Company, about 70% of all changes in all organizations fail. After almost two decades of intense change from corporate reorganizations, new software systems, and quality-improvement projects, the failure rate remains at 70%. As an executive, you know the cost when a major project fails. That’s like throwing money away and wasting months of efforts. Not to mention the lost opportunities: That Six Sigma effort that never made it past Two Sigma… that merger that never quite took hold…that new org chart that never made your firm any leaner… that costly new software that never lived up to its promise. When you’ve lived through that kind of failure, you know how painful it can be. It’s awfully hard for managers and staff to get motivated when they believe that the latest project from on high is going to die just like the last one… no matter what they do. They wonder what will happen to their careers. When fear kicks in, that big corporate change can become intensely personal. When people are afraid, they literally can’t hear as well. It’s much harder for them to take in much information when their bodies are on “high alert.” This can be a big distraction that undermines your team’s ability to focus and stay productive… just when you need them most. When big projects fail, your team can start to feel that leading change is like visiting a casino. You can roll the dice, but you know the odds against you. You can spin the wheel, but the ball going to land on lucky number 23. You can place your bets, but you’re never going to win. Any organization without a sound plan for implementing change is like a player moving from table to table, hoping to get lucky with the next game. Strangely, many management teams indulge in this kind of behavior. They read books, go to workshops, and hire consultants… always hoping that the next new “resource” will give them a secret winning formula that works forever, an edge that tilts the odds in their favor. But of course, nothing ever does. Not only are 70% of organizational changes failing, but that failure rate may even be increasing. According to 2008 research from IBM, the need to lead change is growing, but our ability to do it is shrinking. In IBM’s 2010 follow-up study, three of the top seven priorities identified by CEOs are dealing with changes in their industries, business models, and revenue models. Think about it. Change is getting harder. Many executive teams are scattered across different continents. A single team can span six or 12 different time zones. The days when everyone could sit around a table, roll up their sleeves, and get something done are a distant memory. This increases the risk of missed cues, different priorities, questions that never get asked, and concerns that never get addressed. On top of all that, there tends to be less money for change management projects today. That means even though you have more complex and frequent changes to deal with, you likely have less money and fewer people to assign to those initiatives. Does that sound like a recipe for success? This section describes four major reasons why changes fail, and sums up some key ideas from three significant business books. 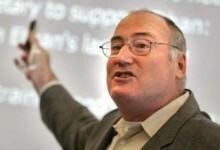 Jeffrey Pfeffer and Robert Sutton coined the phrase “the knowing-doing gap” in their compelling book by the same title. They found that there’s a huge gap between what people know and what they do. All that knowledge not being applied, all that talent not being used costs organizations billions of dollars every year. It’s like owning a high-performance racing car—but only using it to drive a few blocks to pick up groceries. Many leaders know most of what it takes to lead change well. But there’s a huge gap between what they know and what they actually do. Leaders often make the mistake of thinking that the basic problem is a lack of knowledge. You’ve probably thought that yourself. You’ve probably sent your managers and project leaders to training, bought them books, brought in guest speakers to motivate them… but did all that really make a lasting difference? You’ve probably learned by now that the problems of leading change can’t be solved simply by piling up more knowledge. The real trick is to apply what you already know more effectively. Do you know any golfers who read all the books, watch instructional DVDs, maybe subscribe to Golf Digest… but still never improve their game? The best golfers do something the rest don’t: They practice. In fact, they practice a lot. And they practice very deliberately. When a good golfer hits a practice bucket of balls, they analyze every stroke to see what’s working and what’s not. They study what’s causing their balls to hook, slice, or fly straight as an eagle. That’s how they get better at the game. 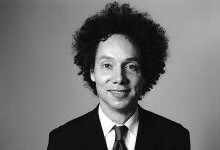 Malcolm Gladwell’s fine book “Outliers” discusses the work of Anders Ericcson, who found that most people who gain mastery in any field have practiced it for at least 10,000 hours. For example, the Beatles played 1,200 live shows in Hamburg before breaking in on the hit parade. The best pro hockey players started skating when they were really young. Bill Gates was already writing software when he was 13. Many managers confuse knowledge with skill. They teach people change management concepts, but don’t give them time to practice their skills. But how can you expect people to suddenly do anything, whether it’s leading change or playing rock and roll, without lots of time to practice… and learn from their mistakes? Sending someone to training and then expecting them to lead a multi-million dollar project brilliantly is setting them up to fail. Where was their chance to practice those new skills? Some leaders know how to lead change, but they don’t put that knowledge into action. They continue to lead ineffectively. They make the same mistakes over and over. They never improve their game. Something powerful must be getting in their way. But what? In their book “Immunity to Change,” authors Robert Kegan and Lisa Laskow Lahey suggest that even when we set goals for ourselves, we still harbor conflicting goals. And we often don’t recognize these traps or hidden commitments for what they are. For example, we all know what a good diet should include and how much exercise someone our age should get. We know how to eat salad, and we likely know how to use the machines at the gym. But do we do it? Not always. At lunch, a lot of us order fries instead of salad. After work, a lot of us skip going to the gym. We don’t act on what we know is clearly in our own best interests. Something blocks us from taking action to protect our own health and vitality. But what? Did you know that only one out of seven people with life-threatening heart problems actually does anything to change their lifestyle? That statistic startled Kegan and Lahey. They were curious how a goal as compelling as “I want to stay alive” could possibly conflict with anything else. Wouldn’t people do just about anything to make sure they stay alive? Yet clearly, we don’t. Leaders believe delegating is a sign of weakness. Self-limiting beliefs like these create conflicts between what a leader knows they should do, and what they actually do. Without realizing why, they undermine their own plans. This can lead executives to develop change management strategies that look good on paper, only to find they’ve unconsciously set up barriers that block their organizations from getting where they want to go. Research shows that leaders of successful changes get people at all levels deeply involved by keeping them in the loop, listening to their ideas, and encouraging them to take ownership for their part of the change. Sadly, many organizations punish (or at least fail to recognize) the very behaviors that lead to success. It’s as though there are two sets of rules. The “official” set of rules is posted on your walls, listed on your company website, and printed in your employee handbook. You know that list. That’s the one where your organization says that it respects individuals, teamwork, diversity, innovative thinking, and so on. Who wouldn’t say that? Then there’s the “real” set of rules. That’s the one you hear whispered about in hallways… the one you run into when you make the mistake of speaking candidly in a meeting… the one that actually governs how your organization works. One junior executive told me he always warned new managers never to criticize the owner’s ideas in a meeting; anyone who did could find themselves out of a job. So when that leader claimed to be “open to different views” he was only giving “the party line…” and not dealing with the underlying reality. It’s important to know the real rules that govern your people’s actions, and then see if those unwritten rules support or hinder the way your organization handles change. unwritten rules that work against change. 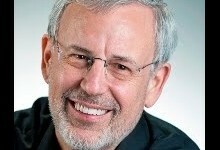 Do we know how to lead change? Have we developed the skills to put that knowledge into action? Are there hidden conflicts that stop us from using what we know? Are there unwritten rules in our culture that kill our well-intended plans? Root out the honest answers, and look closely at what you find. Excellent article – have you come across Chris Sauer’s work – they’ve found that if one actually measures success by ‘did it deliver on time, on budget, on scope – to expected results’, only 7% of changes/projects are considered as success? When I did some research in the area at HEC, I found that 80% of the risks to successful results could be found up-front. Most of the points made in this article reflect this. Yet, ostrich-like, the predictability failure is ignored. 7% … wow … that’s not too positive, although that also says something about the predictability error that human beings are prone to (I am a bit biased here because I am in the middle of The Black Swan, by Taleb). I will google “Chris Sauer” asap! Well, I hate to be picky, but there are a few places where your organization could be tighter. Your first point is “Reason for Failure #1: Lack of Knowledge.” The problem here is that the entire paragraph focuses not on lack of knowledge, but that people don’t apply the knowledge they have. Your “Reason for Failure #2” is lack of skill and practice. This is the same point that you made in the narrative for Reason #1. No new idea is added in #2, just some additional examples. And Reason #3 still focuses on the idea that what is known is not used or put into practice. Reason #4 is does introduce a new idea. I was surprised you didn’t mention Kotter’s book on leading change which was based on actual research (rather than opinion) on companies that did and did not achieve success with transformational change efforts. His method is acknowledged as the best transformational change model that we have right now. Not sure why I would choose your method over his. Why are we still flogging the 70% failure rate about? There is lots of evidence, hard data, that this number may have been plucked from the sky. Other wise a good article. You did flag many of the potential causes of change projects under delivering and in some cases failing. Can I pose a question? In your own personal experience do you have you data that shows 70% of change projects have failed? I really struggle to find such data. I can find a high percentage of projects which didn’t deliver all that they originally planned but many did achieve substantial change. Are they failures? In my experience no. Any other views or insights? can anyone give some examples of companies and their situations,those fail in these 4 areas. How do you determine if a change project has failed? What is measured? 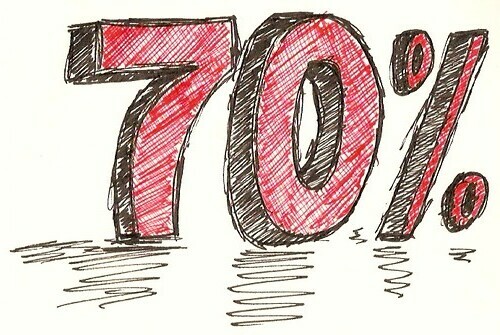 The 70% thing has been debunked by several people including Mark Hughes at University of Brighton. John Kotter started it all in 1993 without producing any evidence. McKinsey was quite late to the party. You can see the entire timeline at http://jackmartinleith.com/70-percent-organizational-change-initiatives-fail-myth/, fully referenced and with links. Rick helps people lead Change without Migraines™.